The Covina Hills Optometric Group's mission is to provide you with the highest quality of care with dedication that will last a lifetime. Our practice is centered in the nearby areas of Covina, West Covina, Glendora, San Dimas, Walnut, with zip codes of 91722, 91723, 91724, 91740, 91741, 91773, 91789, 91790, and 91791. Our optometry practice has been in the Covina and West Covina area for almost 50 years and has recently relocated to a new facility on the corner of South Grand Ave and Covina Hills Rd (Rowland Ave). Our optometrists, Drs. Duncan, Hom, Horibe, and Gutierrez, have the combined experience of over 100 years and not only can provide routine optometric care, but have special training and interests in areas of infant and children's vision, vision therapy, vision related learning problems, LASIK, geriatric eyecare, and the diagnosis and treatment of glaucoma. We invite you to visit our beautiful frame dispensary and choose from the latest in fashionable eyewear. Our creative and talented frame stylists can help you find and fit the perfect frame to match your fashion and lifestyle. And our knowledgeable opticians can also help you select the lightest, thinnest, and most technologically advanced lenses available. 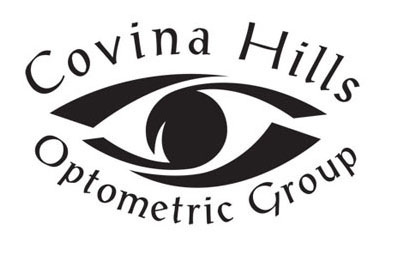 We look forward to meeting and welcoming you to the Covina Hills Optometric Group.